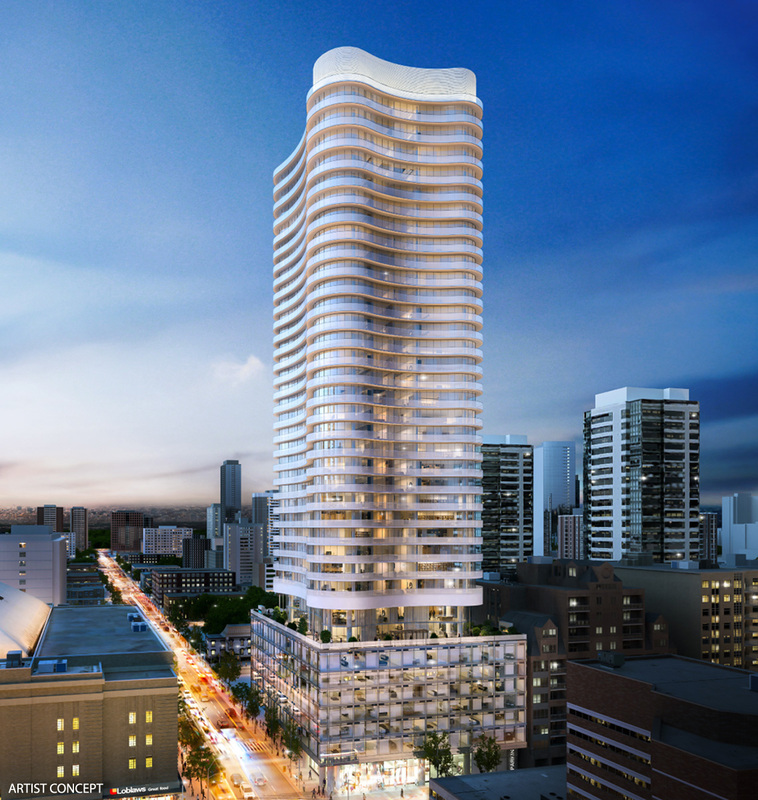 Stanley Condos is a new development by Tribute located at Church and Carlton. Formerly the 70 Carlton St Condos, Tribute is currently developing a brand new condo just steps from the College subway station. Minutes to the University of Toronto and Ryerson University, the Stanely Condos will be be highly attractive to investors and first time home buyers with a convenient 97 Walk Score. This 45-storey glass-clad building is estimated to have 600 units. To it's west there are other convenience factors such as Loblaws and Maple Leaf Gardens. The building is designed by Core Architects, and the landscape architecture is by Ferris Associates Inc. with over 16,000 square feet of luxury amenities consisting of a fully equipped fitness facility with a cardio room, weight room and yoga/stretch studio, expasnvie 8th floor roof terrace with water feature, lounge areas, sun deck, zen garden, outdoor bar with BBQs, private dining room, party lounge, guest suite, meeting room and theatre room. The Stanley Condos is currently selling only to VIP realtors, such as myself.